Miss Marple, Jessica Fletcher … Don Cuevo? Cozy detectives work where they live, and solve crimes committed against and by the members of their community. Often seen as nosy busybodies with too much time on their hands, it’s the mystery that finds the cozy detective more than the other way around. The stories of their exploits emphasize solving the mystery rather than suspense and violence. Included here are six cozy detective stories that mix in strange goings on with the cozy to offer a new spin on the genre. Or is the supernatural nothing more than a ruse? It is up to our cozy detectives to get to the bottom of their respective mysteries! The real question is, Can you solve the crimes before they can? STRANGE & COZY features stories from some of New Pulp’s brightest authors: I.A. Watson, Thomas Deja, Joel Jenkins, J. Walt Layne, Aidan Mohan, and Mark Bousquet. This entry was posted in Strange & Cozy and tagged I.A. 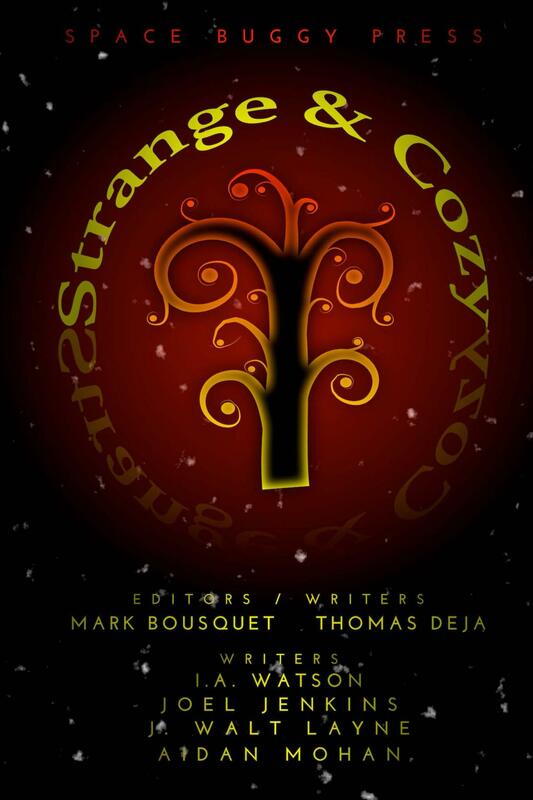 Watson, Joel Jenkins, Mark Bousquet, Strange & Cozy, Tom Deja by Mark Bousquet. Bookmark the permalink.